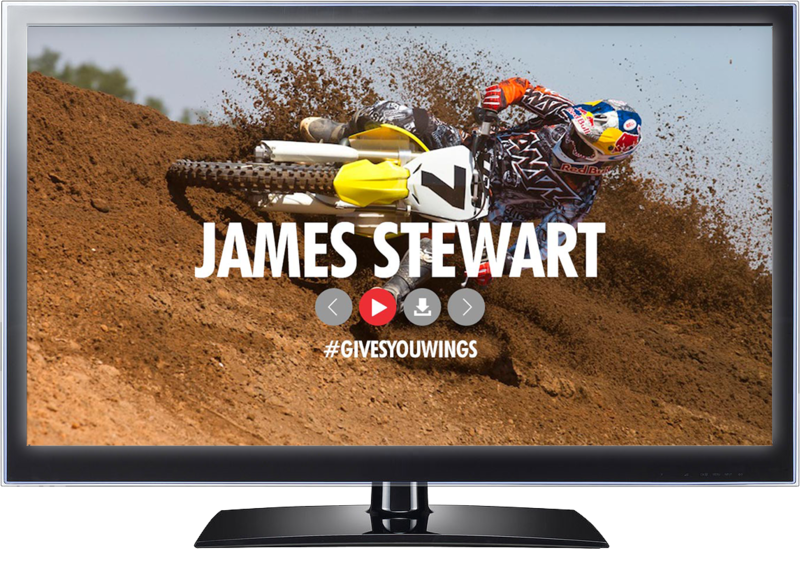 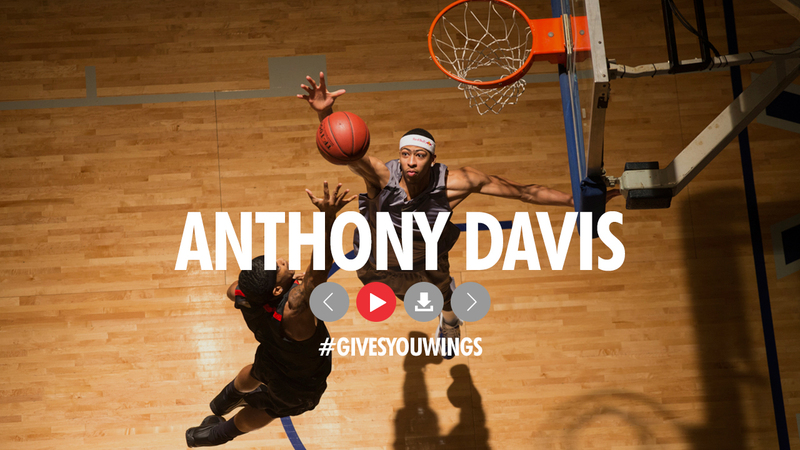 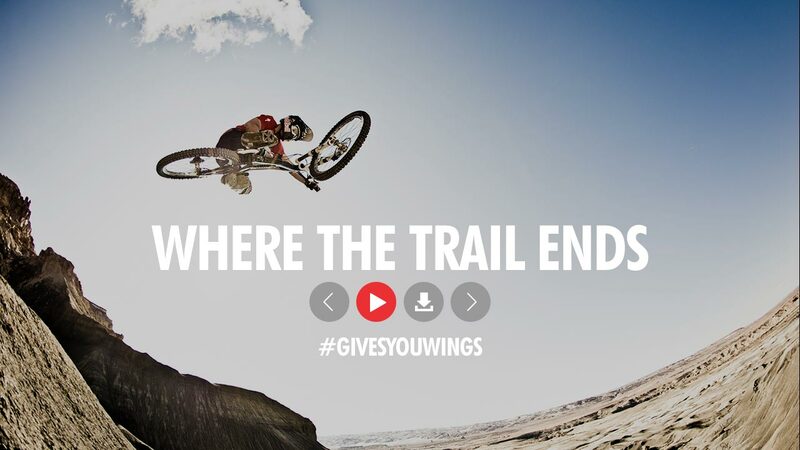 Goals: Showcase extensive athlete/event roster and engage viewers with video content. 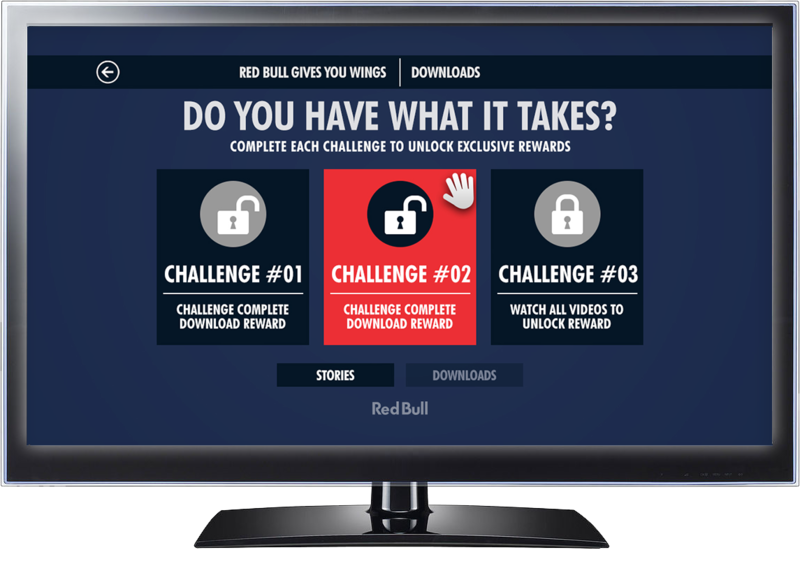 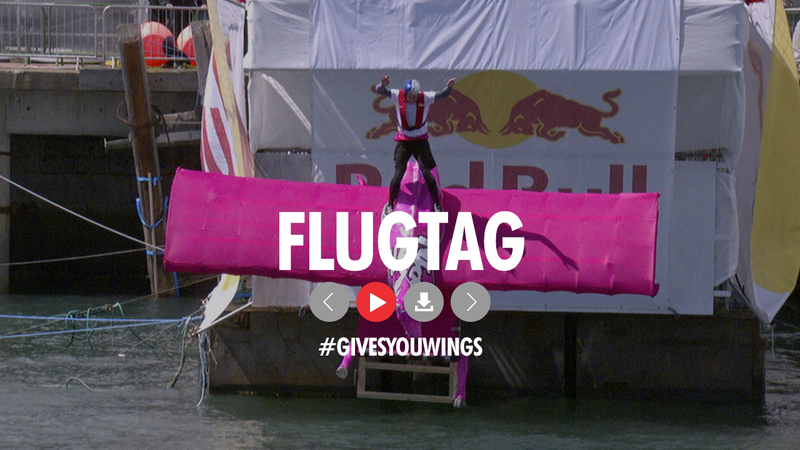 Overview: Building on the success of previous campaigns, Red Bull wanted to test the limits of viewer interaction. 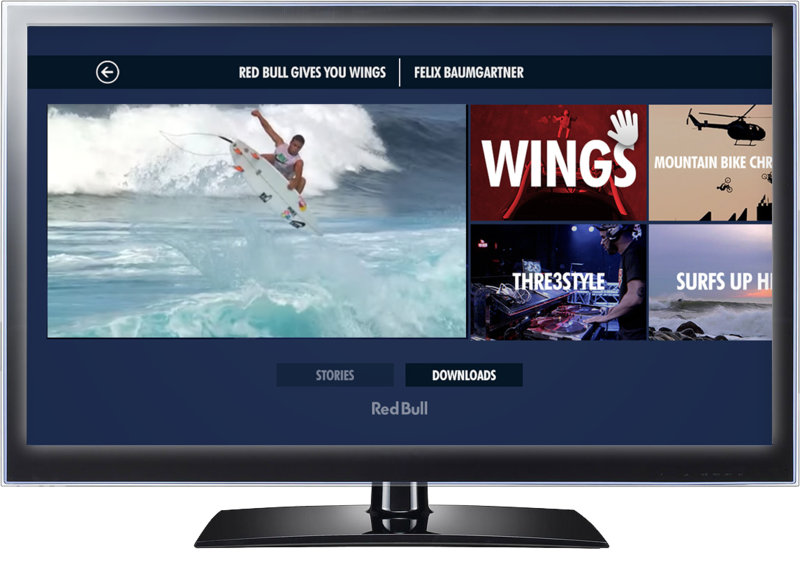 Housing 25+ Red Bull athletes and events, I designed a sleek layout for easy navigation with a rewards based system that incentivized viewers to watch as much Red Bull content as possible…resulting in millions of video views, a ground-breaking average time spent, and national press attention in Adweek Magazine. 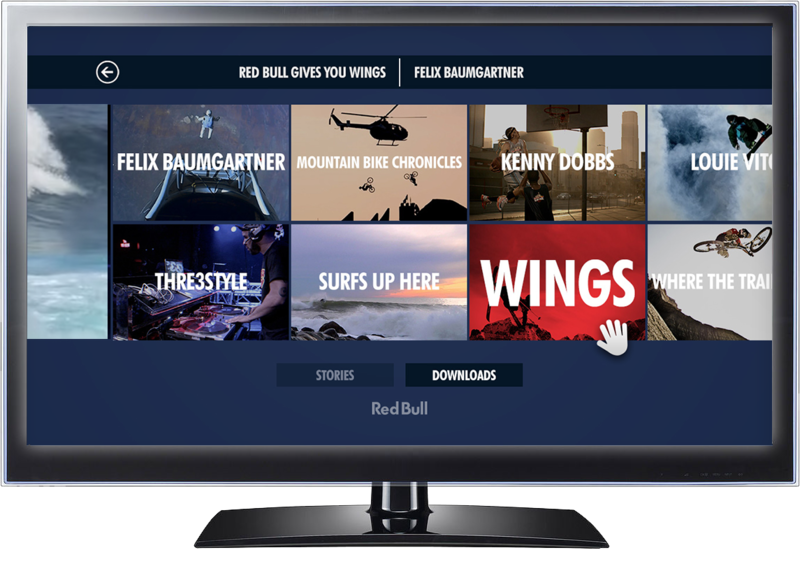 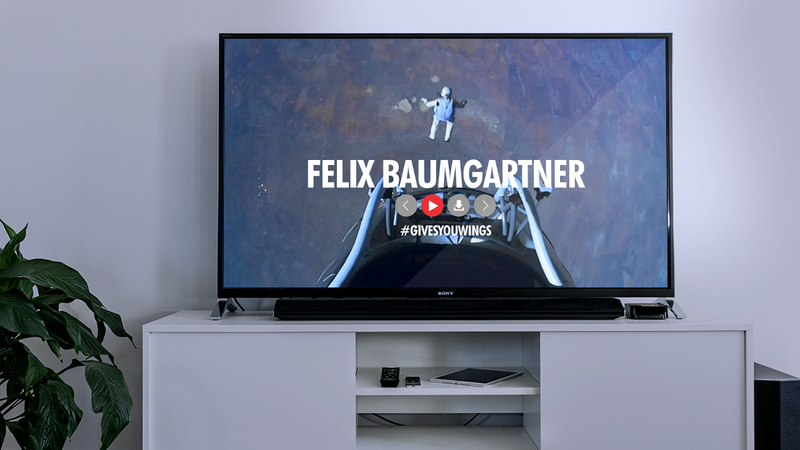 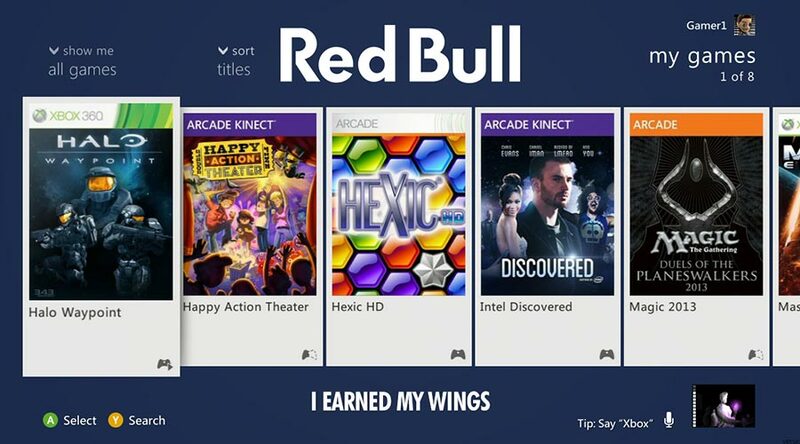 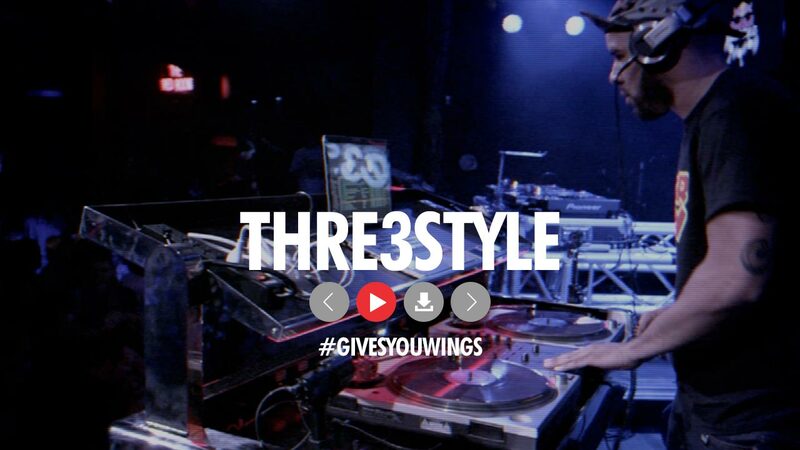 The home page featured the World of Red Bull’s anthem video playing on loop to maximize views, as well as large thumbnails linking to athlete specific pages. 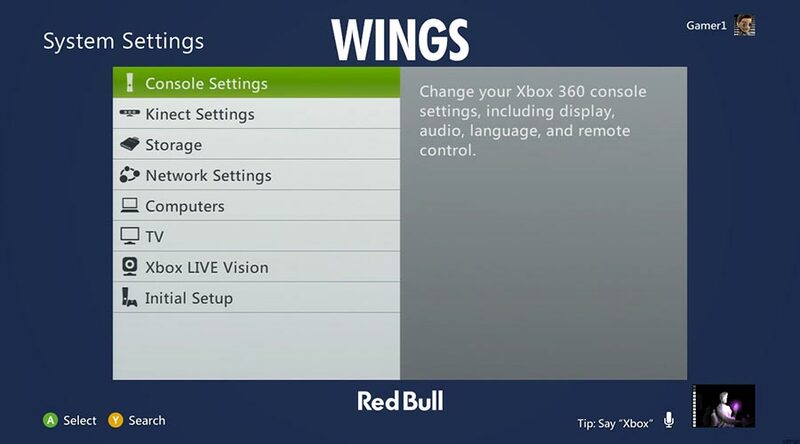 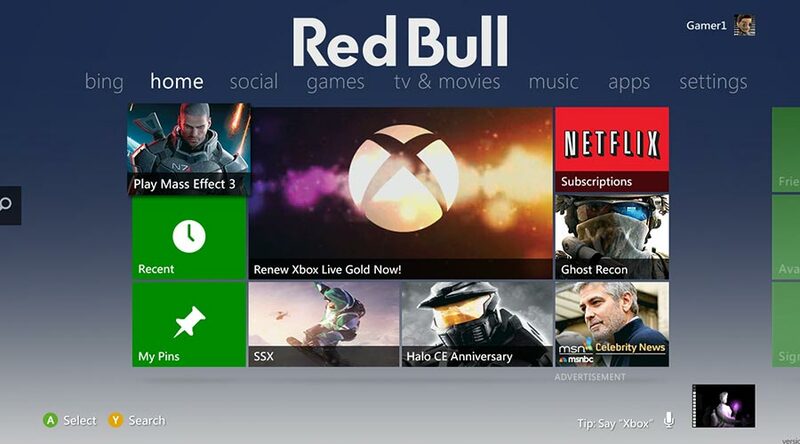 On each page, viewers could launch a full-screen video, download a unique Xbox theme, and quickly move between other pages. 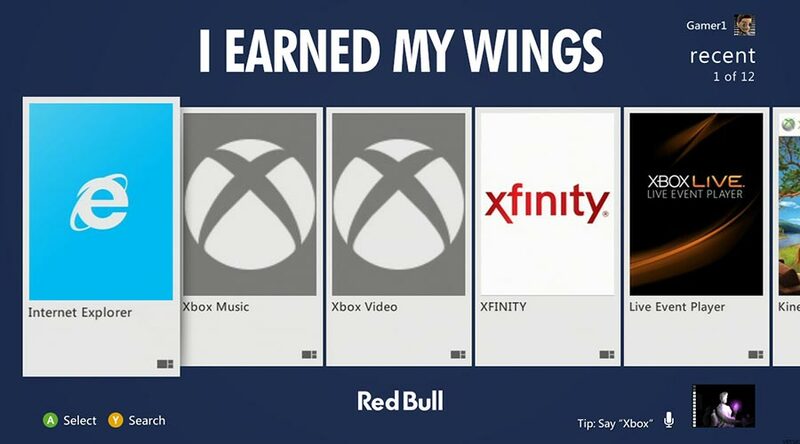 Viewers unlocked exclusive downloads by watching each athlete video and re-skinned their Xbox console with Red Bull backgrounds.